ASHEVILLE, N.C. March 4, 2014 - Allegiant (NASDAQ: ALGT) today announces new nonstop, low-cost air service from Asheville to Palm Beach, a new Allegiant destination, beginning May 15, 2014. In celebration of the new nonstop service, the company, known for its affordable and convenient travel deals, will offer promotional one-way fares as low as $64*. "We are thrilled to expand our low-cost, convenient travel service to Palm Beach," said Andrew C. Levy, Allegiant Travel Company President and COO. "The Asheville community has embraced our service to four other sunny destinations, and we are confident that they will appreciate our new low-cost flights to Palm Beach." The new nonstop flights will operate twice weekly between Asheville Regional Airport (AVL) and Palm Beach International Airport (PBI). Palm Beach becomes the fifth destination offered to Allegiant travelers flying out of Asheville. Flight days and times and the lowest fares can be found at Allegiant.com. "We are honored that Asheville Regional Airport has been selected as Allegiant Travel Company&apos;s first airport with service to Palm Beach International Airport," said Lew Bleiweis, Executive Director. "We believe the new route connecting our travelers to the area&apos;s golf resorts and white-sand beaches will be received with enthusiasm. We also look forward to welcoming residents of the Palm Beach area to enjoy the mountains of Western North Carolina. Western North Carolinians have embraced Allegiant Travel Company and the low fares and travel packages they offer, and the non-stops to Palm Beach International are exciting additions to the air service available at AVL." Allegiant first began service at Asheville Regional Airport in November 2011 with nonstop service to Orlando. Since the start of operations in Asheville, Allegiant has taken more than 60,000 passengers on vacation. Focusing on low-cost leisure travel, the company provides customers with low base fares, averaging less than half the cost of competitors&apos; average domestic round-trip tickets purchased in 2013. 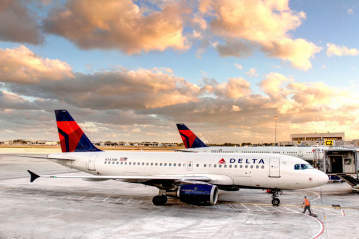 Over the past 15 years, its innovative business model has allowed the company to grow from one aircraft and one route, to offering access to convenient, affordable service in 100 communities nationwide, more than any other domestic low-cost carrier. Palm Beach has long been known as Florida&apos;s "Gold Coast" due to the more than 47 miles of breathtaking Atlantic coastline. It is also a golf mecca, home to more than 40 golf courses, including Florida&apos;s first 18-hole course. Offering theatres, museums, galleries, trendy restaurants and world-class shops, Palm Beach has something for every vacationer. 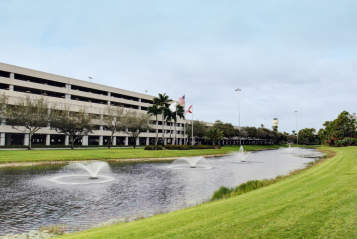 Allegiant travelers will start and end their vacation in style when flying into Palm Beach International Airport, voted the sixth best airport in the world by the readers of Condé Nast Traveler Magazine. 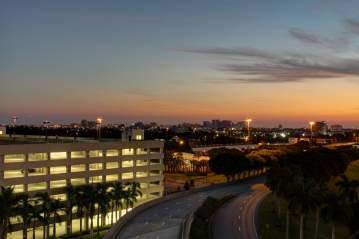 Asheville travelers can book their entire Palm Beach vacation for less by visiting Allegiant.com. Seats are limited. Price includes taxes and fees. Fares are one-way and not available on all flights. Must be purchased by March 11, 2014, for travel by Oct. 28, 2014. Price reflects debit card discount; credit card price higher. For baggage fees, please visit Allegiant.com. Additional restrictions may apply. Las Vegas-based Allegiant Travel Company (NASDAQ: ALGT) is focused on linking travelers in small cities to world-class leisure destinations. The company operates a low-cost, high-efficiency, all-jet passenger airline through its subsidiary, Allegiant Air, while also offering other travel-related products such as hotel rooms, rental cars, and attraction tickets. All can be purchased through the company website, Allegiant.com. The company has been named one of America&apos;s 100 Best Small Companies by Forbes Magazine for four consecutive years. For downloadable press kit, including photos, visit: http://gofly.us/qSqyY.